Alton’s Dive Center resort dive packages give you the best of Utila, both underwater and topside. We are a PADI Dive Resort and can offer you the widest range of training and experience. Our easy going, friendly and experienced Divemasters will be dedicated to you for the duration of your diving to look after all of your diving needs and more. Our dive packages are perfect for those who want to explore the beauty of Utila and the Utila Cays, which form a small group of coral islands complete with palm trees and beaches just off the west end of Utila. Of course, while you are on vacation you will also want a little down time. The famous Alton’s atmosphere creates a great place to kick back for a while at the end of the day and watch the sun go down. Our west facing dock provides views of stunning sunsets and “the snack shack” provides the cold beers! Relax and make the toughest decision of the day – where to eat tonight! We run boats every morning and afternoon, and go night diving two to three times a week. Our morning boat goes to the North side of the island every morning (weather/numbers permitting). 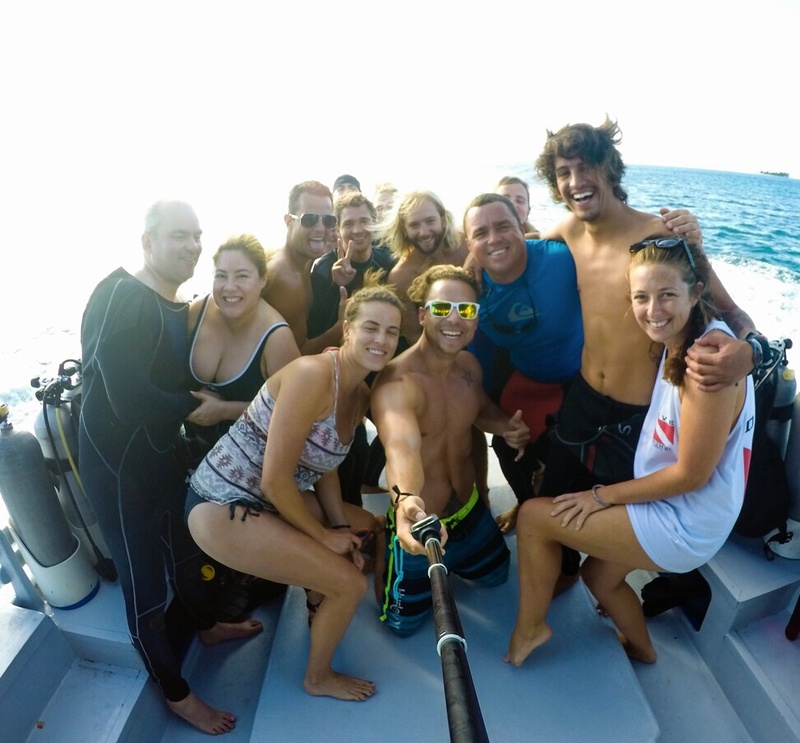 We do our first dive there, diving the steep walls of Duppy Waters or CJ’s Drop Off, or hunting for nurse sharks around Spotted Bay and Raggedy Cay, or maybe even exploring the caverns and ledges of Blackish Point! After our first dive, it’s back on the boat to enjoy a surface interval complete with fresh fruit, while Captain Eric searches the waters off the island for signs of whale sharks, dolphins and more! Once our surface interval is over, it’s back in the water for our second dive on the South side of Utila. Highlights of the South side include the phenomenal macro life to be found at Big Rock, or encounters with Spotted Eagle Rays, Tarpon and more at Black Coral Wall! Having completed our second dive, it’s back to the dive shop for a well earned lunch from the Tipsy Turtle, our onsite cafe/bar. Our afternoon boat always goes for two dives on the South side of the island. One of the most popular dives in the afternoons is the Halliburton – a 30m long cargo boat at a max depth of 30m. She was sunk in 1998 as an artificial reef and is now covered in life! Night dives happen several times a week and count as two tanks. They are incredible out here! We’re very lucky to have some phenomenal bioluminescence and String of Pearl here on Utila. What makes diving with Alton’s special? Here at Alton’s we keep our fun diver groups small – a maximum of 6 divers per Divemaster. We split the groups by certification level. This means if you’re Open Water, you’ll only be going with other Open Water divers, and if you’re Advanced or above, you’ll be going with divers of your level! We run one hour dives. This means we offer the longest dives on Utila, by between 15 – 25 minutes. Don’t worry, we do have bigger tanks if you’re a heavy breather! We believe diving should be comfortable and safe with which is why we have a wide range of well maintained equipment. If you have your own equipment we can provide storage. We also know that newer divers may not have invested in their own gear yet or you may be bringing friends who do not have their own. We have a full range of rental gear with wet suits, BCDs and fins in a range of sizes from XXXS to XXL. All equipment is complementary – saving you on expensive airline luggage fees! Comfortable easy access dive boats designed with the diver in mind. Easy access to the water (and to the boat again after! ), fully equipped with DAN O2 Oxygen kits, first aid, VHF radios, GPS, etc. You can expect full dive briefings and debriefings including creature identification to as much detail as you want. A very social and fun environment with a beautiful sundeck and shady hammock space, a small cafe/bar area which sells breakfasts, lunches, coffee, cold drinks, and evening BBQs. For accommodation we can offer cheap & basic through to luxury waterfront hotel or any combination.